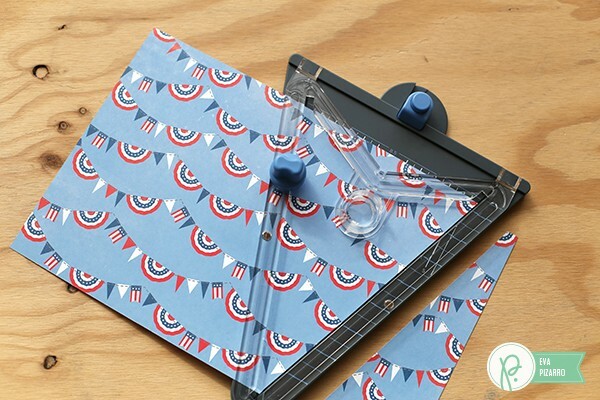 4th of July Banner - Pebbles, Inc.
Hello everyone, I’m Eva Pizarro and today I have a quick banner decoration using the We R Memory Keepers Banner Punch Board. This punch board is very easy to use, and you can make three shapes in lots of different sizes! 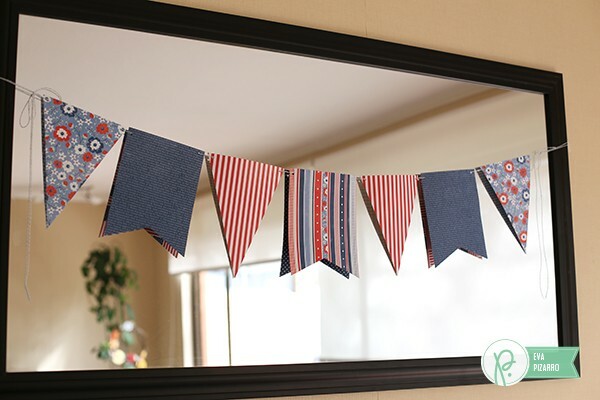 Truly a must-have if you always want to do home decor projects or host beautiful parties. 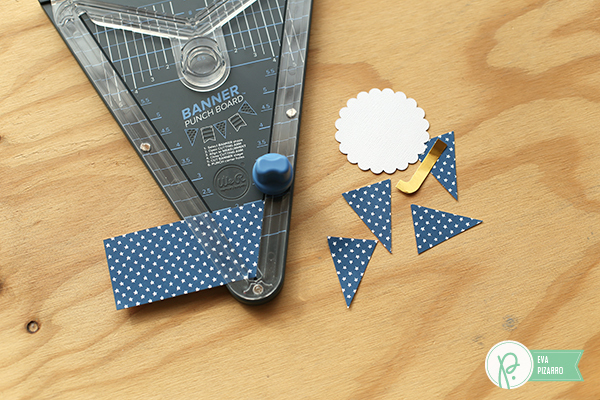 Start by trimming your paper to 8.5 inches wide and use your punch board to make triangles. 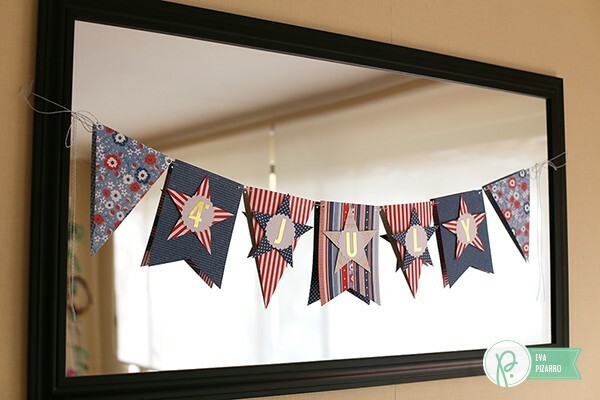 I used the Americana collection from Pebbles because it is perfect for this holiday. 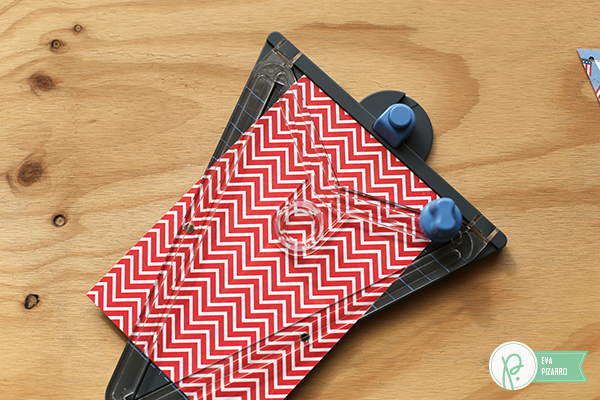 If you cut rectangles, you can use the other end of the punch board to make banners. Use the incorporated punch hole on all your shapes. If you want, you can leave it just like that or decorate your banners. 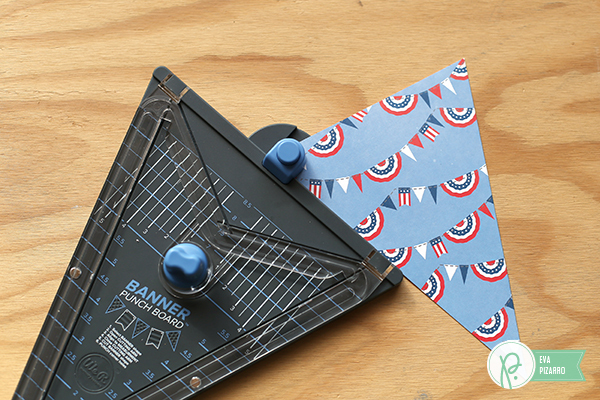 And if you thought your punch board could only be used to make banners, you were wrong! 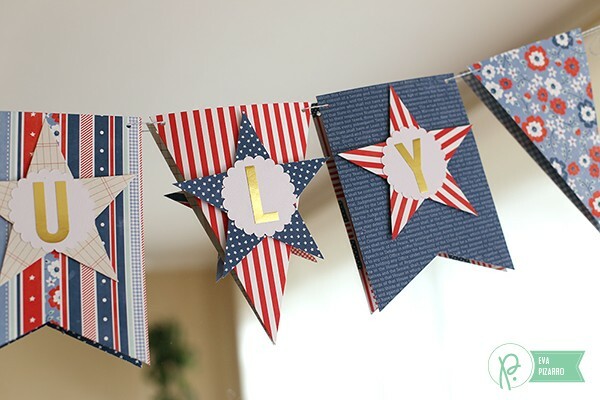 I used my Banner Punch Board to cut small triangles and make little stars. 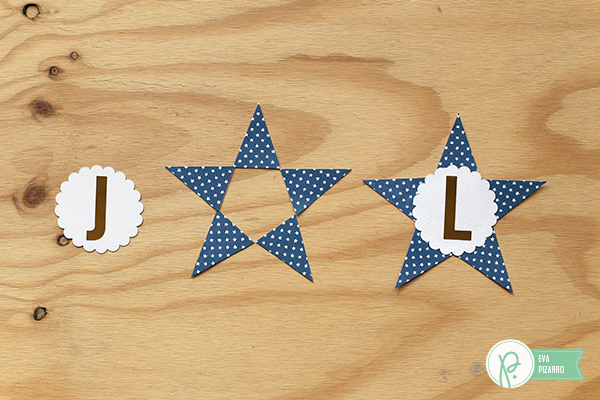 I used five triangles, a white die cut made with the Home+Made Dies and a gold letter to make my embellishments. 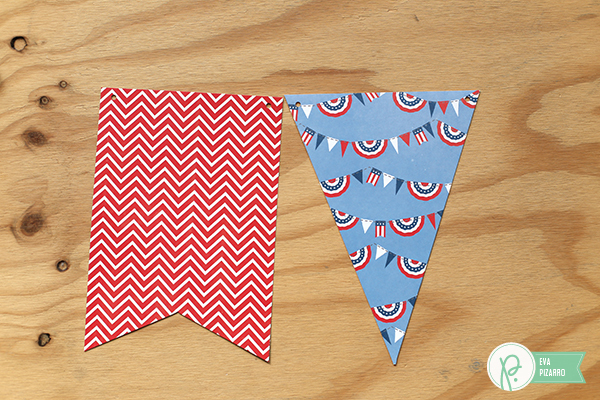 Now all you have to do is attach them to your banner with foam dots. 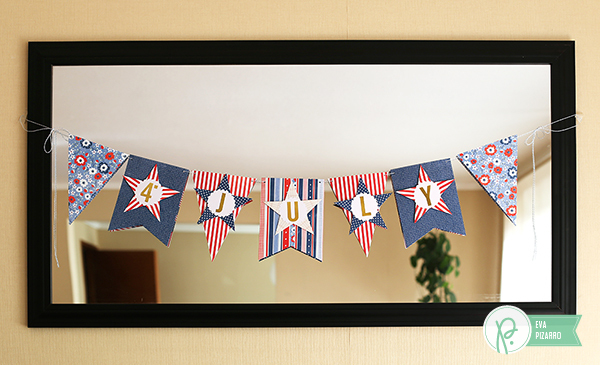 Your 4th of July banner is complete and you can hang it anywhere: on your mantle, your door or outside to brighten up your holiday lunches.